They’ve built roads, bridges, and dams. They’ve moved earth, crushed rock, and harnessed power through wind and solar farms. 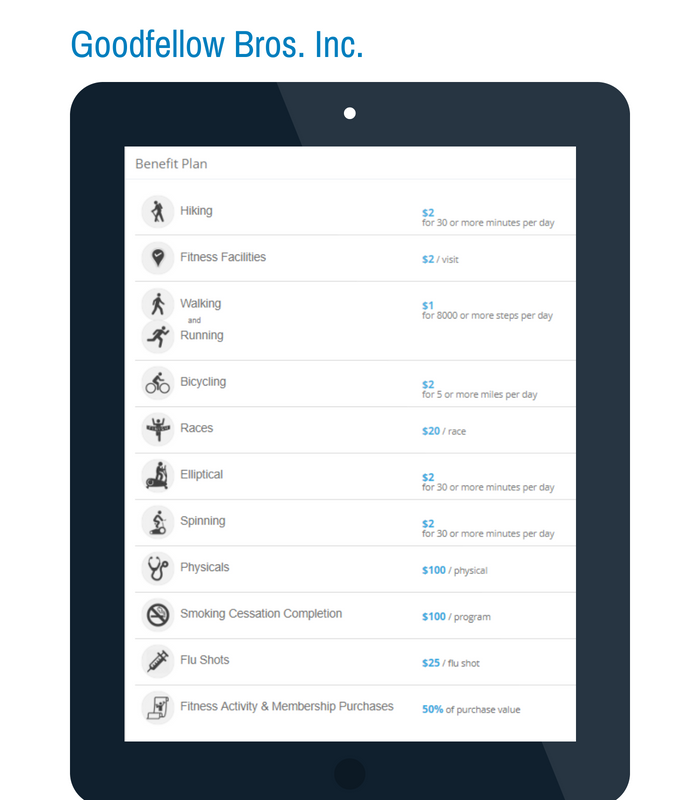 Now Goodfellow Bros. Inc. (GBI) is building something else: a strong and healthy workforce, through a corporate wellness program that incorporates inter-office challenges and fitness rewards. Founded by brothers Jack, Bert and Jim Goodfellow, the family-owned construction business has been transforming the nation’s infrastructure since 1921. Today, the Goodfellow Bros. collection of major projects includes airports, harbors, highways, housing developments, marinas, parks, and more. With all that, it’s important that their workforce has a healthy foundation, which is why GBI’s management turned to a wellness broker, BenefitHub, to find a solution that would get people investing in their own health. 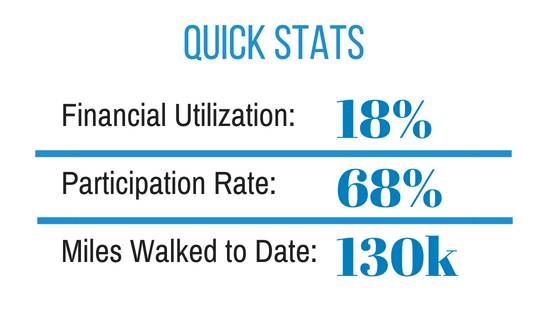 The various regional offices had occasionally done workplace challenges on their own—a weight loss event here, a charity walk there—but the need for a comprehensive program came to a head last year when switching insurance policies. “We wanted our employees to take an active part in their health,” explains Debbi Phipps, Human Resources Specialist. Through BenefitHub, the HR department looked at many different programs, but found most to be too expensive and complicated. “For years we have had a gym membership reimbursement program, but not everyone wants to go to a gym, some prefer to be outside walking or exercising,” says Phipps. They also needed a simple solution that wouldn’t frustrate those who aren’t tech savvy. When working with remote teams, convening everyone around a new program can be tricky. Because of this, GBI introduced wellness challenges as a way to bring everyone together across offices in Washington state, Northern California, Portland, OR, and Hawaii. “IncentFit has turned out to be a great thing for us, especially the challenges,” says Phipps, who recently completed a team challenge to drink more water. The changes have been easy to see. Every day, Phipps sees half a dozen administrative staff go out to walk in the park at lunch every day; they even found a local event center that would let them walk laps inside in the winter. “It’s gotten people moving that would not normally be so active. They’ve lost weight, they’re walking a ton of steps a day, it’s so motivating to see,” says Phipps, who describes the commitment to wellness as a huge group effort. They’ve also seen an increase in people getting flu shots because of the $25 incentive—something that’s especially important at their Wenatchee, Washington headquarters, where GBI is building an open-concept office. There are other tangible advantages, including fewer sick days or fewer workplace injuries due to fatigue or strain. Their 314 active employees are on track to log over 100,000 miles this year. Aside from the team unity, Phipps says the wellness benefits have been a valuable recruiting tool. They’ve even recommended the program to several other businesses in the construction industry. Going forward, the answer is a resounding yes. 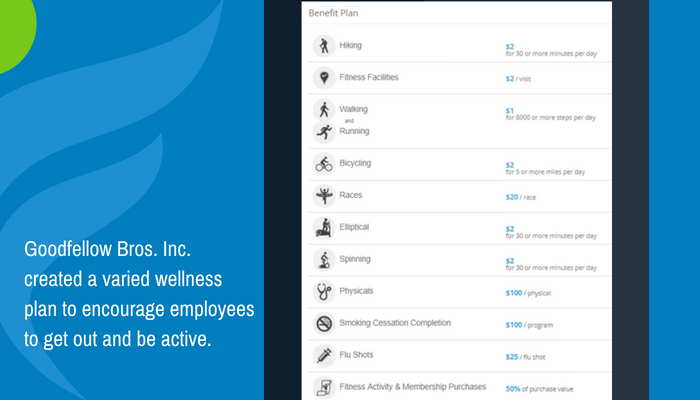 Curious about creating a wellness program that suits your unique staff? Schedule a call to learn more.